In her inspiring message preached at Dr. John Hagee 4th of July 2004 camp meeting. No More Delays! What God has planned for your life will no longer be hindered or delayed as you meet Him consistently with a heart of total surrender. 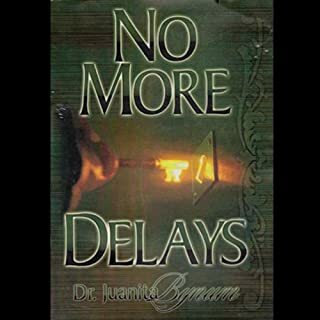 If you have been encountering delays or constant setbacks that have threaten your purpose in God, you need to receive the impartation of No More Delays. Very Inspiring <3 <3 looove it!! !